Oversized metal dispensers have weighted bases with independently spinning reels for fast application of any tape with a 3" core. 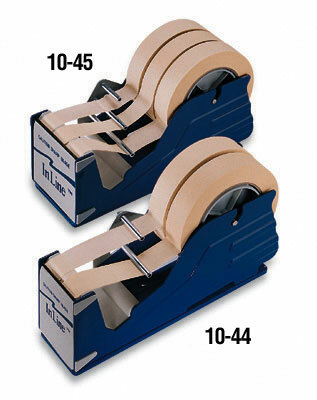 Item Number 10-44 holds one 2" wide roll or two 1" wide rolls. Number 10-45 holds one 3" wide roll or three 1" wide rolls. Mounting screws included.